This pattern is available for £4.00. Its a new month and time for the next instalment of the Seasons Sock club! this third pattern in the club is Summer themed. I went with an all over textured pattern utilising some slipped stitches for these socks, as the texture created reminded me of sandwiches which in turn made me think of picnics in the summer (a little random I know but sometimes by brain can make some funny associations)! 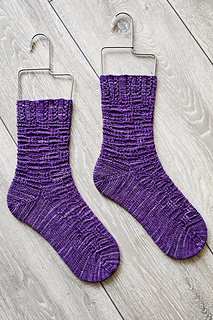 These socks are fun to knit and once you’ve completed a couple of repeats you will likely have the pattern memorised making these perfect for knitting on the go! PLEASE NOTE - THIS PATTERN IS EXCLUSIVE TO THE SEASONS SOCK CLUB. THIS AND THE REST OF THE CLUB PATTERNS WILL BE RELEASED FOR INDIVIDUAL SALE IN JUNE 2019. 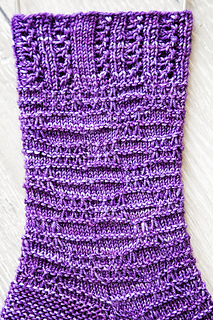 • Yarn - 100g Sock Yarn (approx. 365-400m / 400-440 yds) Sample knit in Asylum Fibres Yarn on the Madhouse base in the Shadow Colourway (100% Superwash Merino). • Instructions are provided for both Cuff Down and Toe Up. 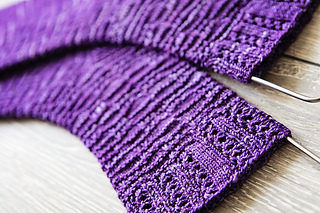 The Cuff Down method is first, followed by Toe Up instructions. 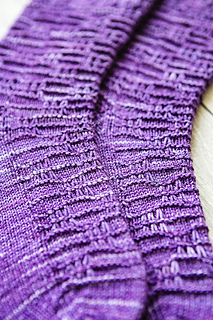 The stitch pattern being used for the leg and foot of the sock is first detailed below, followed by a general outline of the sock construction.